On March 17, Israelis will go to the polls to choose a new government but more than one third of people living under Israeli rule do not have the right to vote. Although Israel is nominally a parliamentary democracy, over the course of the country's nearly 67-year history there has been a period of only about one year that Israel did not rule over large numbers of Palestinians by military decree, granting them no civil or political rights simply because they are not Jewish. View the full-size version of this infographic. 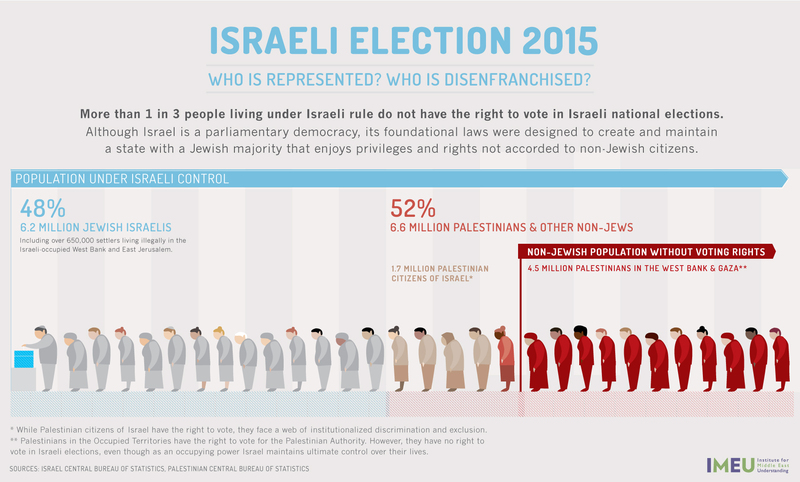 Learn more about the 2015 Israeli elections.